#StayWild Tip: be mindful of your commute to work or school and see what you can see! Since leaving my last job and starting work with the Youth Project in August 2015, I have exchanged a busy, hectic train journey into Glasgow city centre with an 80-mile round trip from Helensburgh to Callander. It’s a wonderful daily drive, predominantly through Loch Lomond and The Trossachs National Park, and I’m fortunate to have observed all manner of wildlife including deer, badgers, buzzards, red kite, barn owls and even pine marten, all from the comfort of my little yellow Panda. 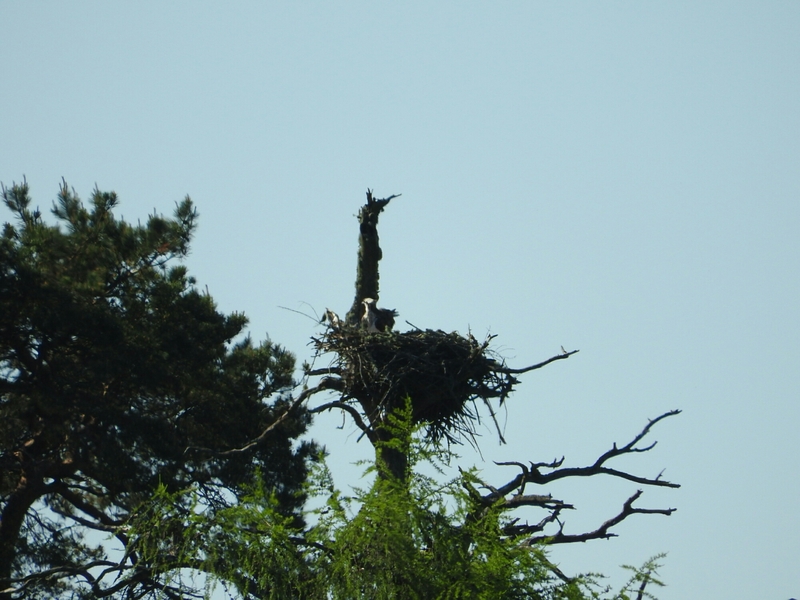 I was ridiculously excited when, in February, I spotted an osprey nest close to the roadside. I kept a daily watch on it into Spring, posting regular updates on Twitter, until I was delighted to spot a male arrive in March, followed by a partner in early April. A couple! Throughout April and May I’ve watched them both fortify the nest, with the female becoming broody and the male bringing fish back into the nest. This morning I stopped to have a look (as I usually do!) and was lucky to catch the male returning with a fish. I realised that the female had started feeding a chick! If you look closely to the right of the female, you can see the tiny head of the chicken as it is fed morsels of tasty fish. I was so thrilled, I got goosebumps! I really hope that the new family is successful. If I had been driving on “autopilot” I doubt I ever would have spotted the nest. It strikes me that it is important not to take your journeys for granted, and to look at the world with kind and appreciative eyes. There’s always the potential for spotting something wild and exciting.